PACIFIC Regency’s Soi 23 is an ideal place to break fast at with a spectacular view of Kuala Lumpur from the restaurant. 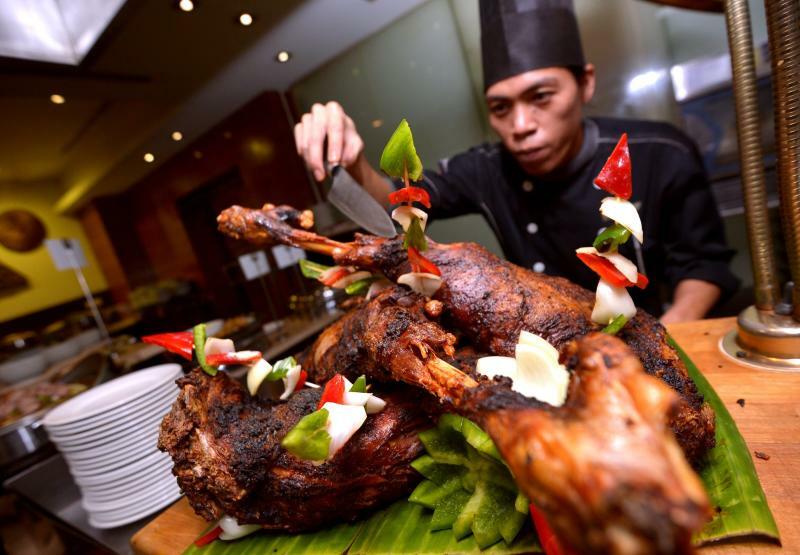 But that is just a bonus compared to the array of dishes prepared by sous chef Zairul Effendi and his brigade, with more than 100 main items rotated each day of the week. This year, the theme by Zairul’s brigade pushes towards a more authentic experience, in terms of preparation and cooking. You will see names such as Sup Ayam Doraisamy and other names on dishes, names which Zairul says are the pakciks he learned his cooking styles from. “Most of them were the local village cooks, the ones who would prepare the dishes for jamuan and kenduri in the kampung,” said Zairul. Staples such as roast mutton with Briyani Pak Arab and ikan bakar are available at the station everyday, as well as bubur lambuk as the traditional fast-breaking meal. 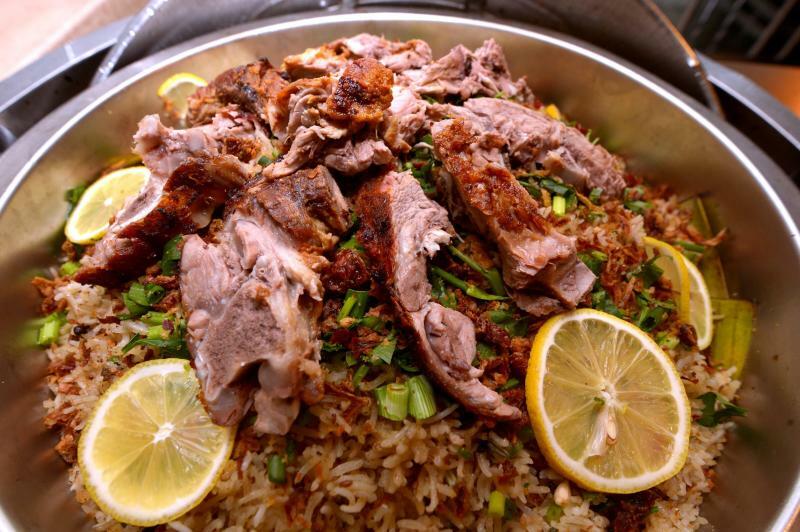 No buka puasa would be complete, without spit-roasted lamb, served with Briyani Pak Arab on the side at Soi 23. Enriched with santan, added at the last minute before taking the porridge off the fire, the coconut milk adds a smooth mouthfeel and enhances the taste. Zairul’s team has also come up with a list of favourite Ramadan recipes from different states. These range from rendang tok (Northern Malay cuisine), Daging Masak Hitam Mamu (Penang), Tempoyak Ikan Patin (Pahang) to assam pedas (Malacca) . 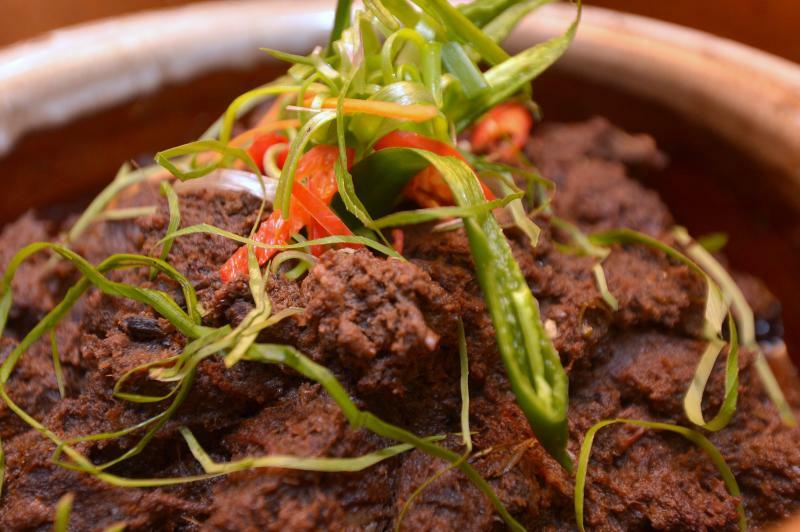 Some, such as the Daging Masak Hitam, take intense preparation, with the meat stewing on low-heat starting from the night before. But the end result is a sweet, intense flavour and super-tender meat which had this writer piling seconds. “Usually, based on my own kenduri experiences, the preparation usually takes about eight hours,” said Zairul. And as a bonus for guests, the recipes, written step-by-step, are also displayed right next to the dishes for anyone wanting to try and replicate the dishes at home. With authenticity in mind, the satay on your plate is made by the famous Haji Samuri satay-seller in Kajang, while you can also try the Ayam Masak Lemak Daun Cekor, made with daun cekur (a member of the ginger family). 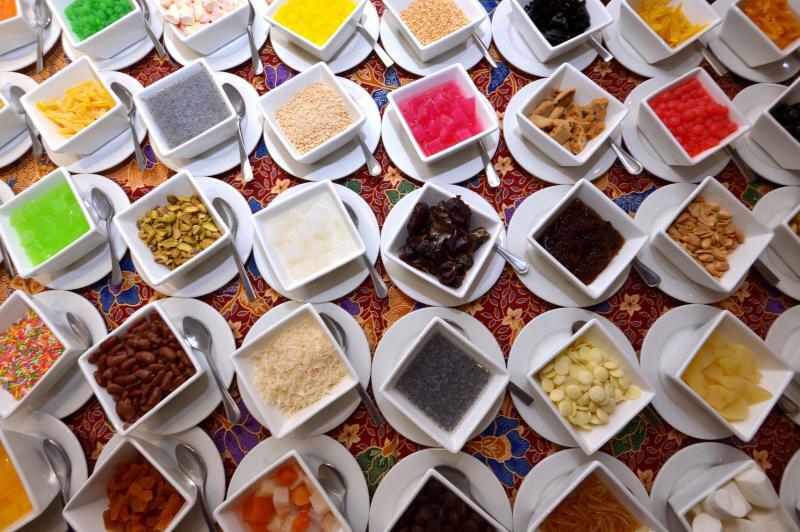 With such a bewildering array of ice-kacang toppings, patrons at Soi 23’s Jom Berbuka Ramadan offering this year are sure to find something they’ll enjoy. One difference this year is the introduction of a sushi bar for those who like their sake sushi, or maguro together with the udang sambal petai. Titled “Jom Berbuka!”, which makes for a refreshing change from the other “hometown” promotions, dining at Soi 23 is priced at RM99nett for the entire fasting month.